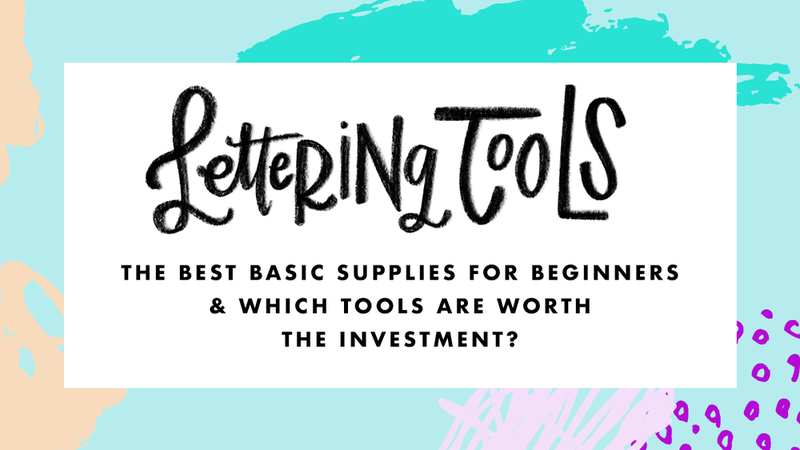 What tools do you recommend to get started with hand lettering? Do I need any SPECIAL pens or SPECIAL paper to be a "real" hand letterer? The answer, in my humble opinion, is a whopping NO! 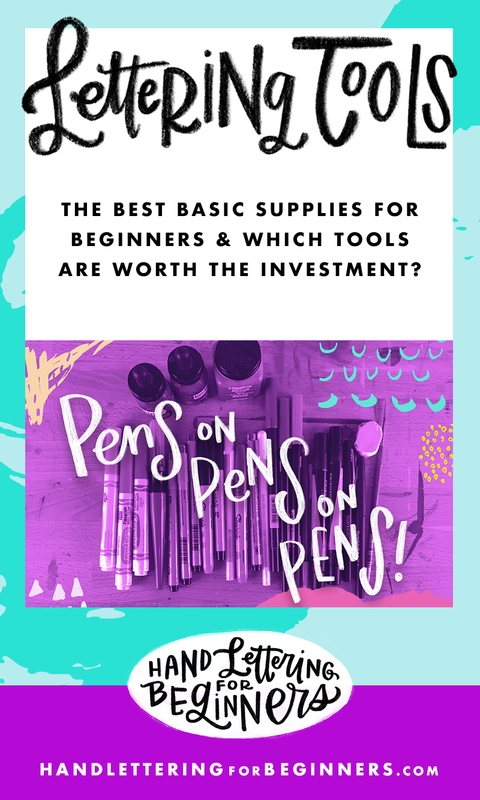 However, tools and supplies can certainly be a really FUN part of exploring hand-lettering, so in this article I'll share with you my favorite tools for getting started, plus some "fancier" tools that I believe are worth investing in and experimenting with beyond the basics. Like I said, I use a plain old mechanical pencil and that works fine, but I admit the lead breaks more often than I’d like. 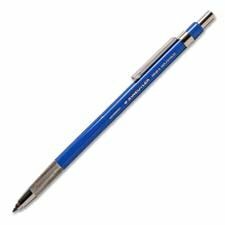 To avoid that, you might be interested in trying out what’s called a “lead holder.” This looks a bit like the body of a mechanical pencil but you feed thick pieces of lead into it and use what’s called a “lead pointer” to sharpen the lead. This will allow you to get a very fine point for detail work if you like that style of lettering. I only use pencil as my base layer which is, again, why I opt for the mechanical pencils. One look down the office supplies aisle at Target and you’ll know there are seemingly infinite types of ink pens to choose from. 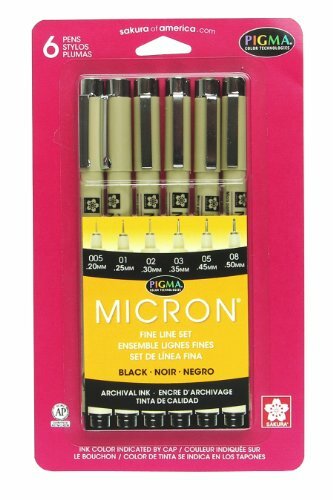 Probably the most popular pens that I see letterers use are Micron Pens (my recommendation for getting started), which are especially useful because they have multi-packs that have varying tip widths. 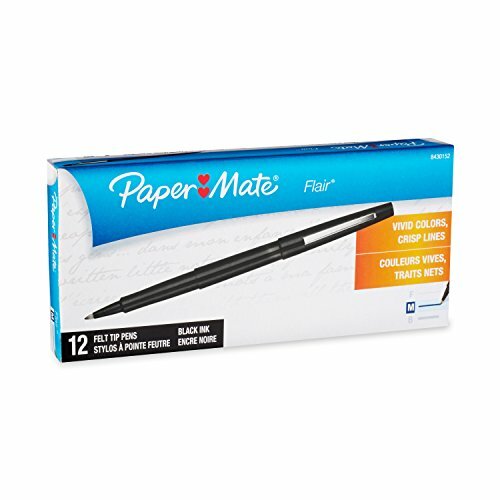 I also love the flow and thickness of PaperMate Flair Pens which is what I used on a daily basis for the first few years of developing my own hand-lettering style. 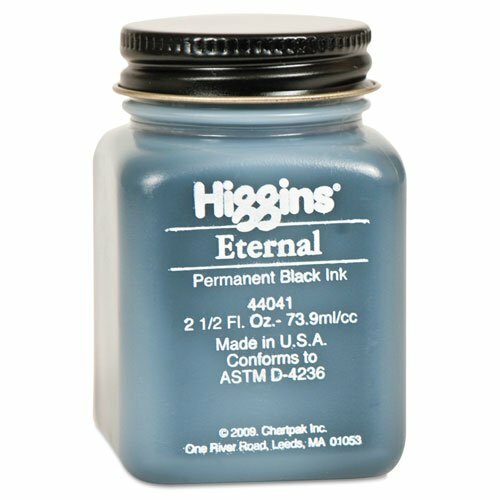 The most important thing to keep in mind when choosing an ink pen is the flow of the ink. You don’t want something like a ballpoint pen that might skip as you’re working on a lettering piece. I would also stick to black ink when you're starting out -- the contrast will come in handy if you decide to digitize your lettering piece. When you’re getting started, you’re likely going to go through a LOT of paper. That’s why I recommend avoiding any expensive sketchbooks or artist paper when you’re starting out in your practice. Printer paper is great because most people have it on hand and it’s relatively inexpensive for a ton of it. 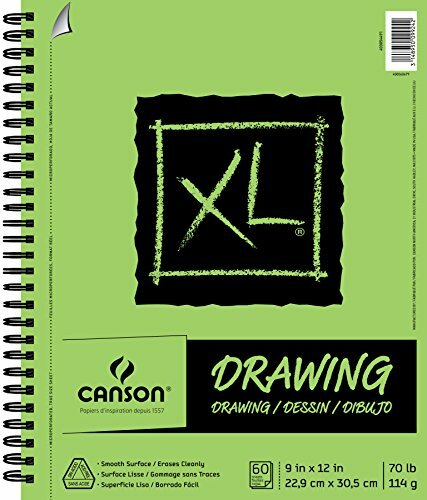 I also tend to pick up just a cheap drawing pad at the grocery store or Target when I’m there and I love the spiral bound books so I can keep my lettering drawings in one place. The most important thing to keep in mind is the thickness and porousness of the paper. The thinner and more porous the paper, the more your ink will bleed which will make it hard to create crisp lines and details. The good news is, you probably have some version of these three items laying around the house right now! No need to go ordering a million pens on Amazon (though I’ve certainly been guilty of that in the past!) Just pull together what you have in your kitchen or desk drawer at home and start there. Okay, now that we’ve talked a little bit about the basics and I’ve given you my PSA on not focusing too much on the tools, I didn’t want to leave you hanging without at least chatting about some of the more fun, “fancy” tools. I’ve experimented with a TON of different pens and brushes over the years (way more than I have room to show you in one email) but below is a sampling of what I’ve come back to over and over as my favorites to have on hand. It may sound silly, but erasers can be just as important as pens/pencils in developing a beautiful lettering piece! 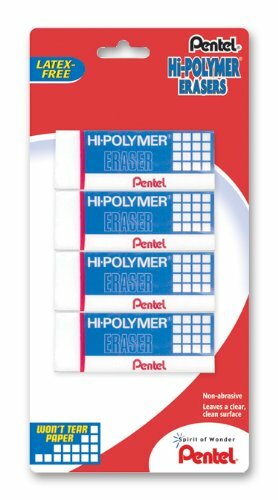 Fine point "eraser pencils"* are perfect for erasing details and cleaning up your pencil sketches, while thick block erasers are great for erasing all your pencil marks once you've gone over a lettering sketch with ink and want to remove any stray pencil marks showing through. Brush Lettering has become incredibly popular in the world of lettering for its fluidity and versatility in bridging the gap between lettering and calligraphy. 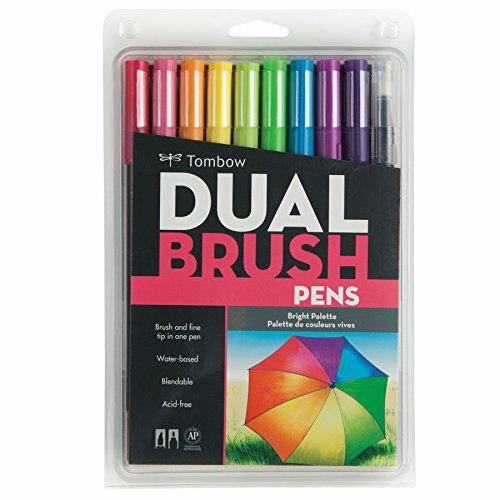 These are two of my favorite tools for experimenting with that technique: the TomBow Dual Brush pens have a nice marker brush tip on one end with a fine point marker on the other end which is great for cleaning up stray marks. 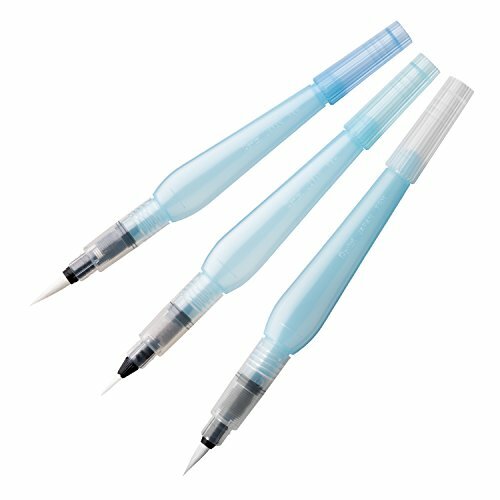 The Pentel Aquash brush is fun because you can fill it with water and dip it in watercolor, ink or gouache to create a brush pen/paintbrush hybrid. 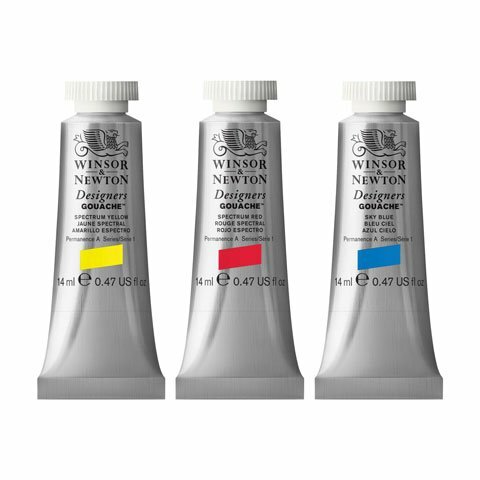 Gouache is a fancy French word for a pigmented paint-like substance with a consistency somewhere in the middle of acrylic paint and watercolor. You can mix it with water and use a paint brush or water brush to blend colors, creating beautiful hand-painted lettering pieces. I also love experimenting with a paint brush and calligraphy ink. The fluidity of the ink and the variation you get in the ink when mixed with water is fun to play with, plus it creates amazing depth and texture on watercolor paper! I think half the fun of hand lettering is in bringing your sketches to the digital world and seeing what you can turn them into. Programs like Photoshop and Illustrator are vital for turning your sketches into all sorts of things: logos, t-shirt designs, book covers, social media graphics... the possibilities are endless! I have an Adobe Creative Cloud subscription which allows you to access the latest versions of all of Adobe's products for one monthly fee. Alright, I think that's plenty of tools for you to wrap your head around for one article! Again, if you're a beginner, I recommend starting exclusively with pencil and pen, and then expanding your collection of tools as you deepen your lettering practice. This will help you develop the more important foundational aspects of your practice like lettering styles and making daily practice a habit. Remember, specialty tools are NOT a requisite for considering yourself an artist. It doesn't matter how fancy or expensive your tools are -- if you are creating things and you are honing your unique style and you are improving your craft, well then you, my friend, ARE AN ARTIST.